Ask yourself the question. The answer could help you be ready against hereditary cancer. To understand if cancer runs in your family, look at your own history, as well as that of both your parents. Both a mother and father can pass their risk for cancer on to any of their children. What percentage of breast cancer is hereditary? In some families, cancer is caused by an inherited mutation passed down from a parent. Hereditary breast cancer is due to a genetic change passed down through a family for generations. About 7% of all breast cancers are thought to be hereditary. 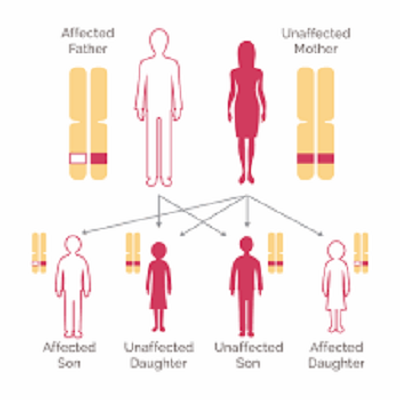 Most hereditary breast cancer is caused by an inherited mutation in the BRCA1 or BRCA2 genes. People who inherit one mutated or non-working copy of a BRCA gene are at greater risk of developing certain types of cancer including breast cancer in both men and women and ovarian cancer in women. Why would I want to know if I have a BRCA gene mutation? Finding out if you have a BRCA gene mutation is important because you can use the information to take action regarding your own health risks. If you have a BRCA gene mutation, members of your family are also at risk of having the same gene mutation. What action should I take if I have a BRCA mutation? The National Comprehensive Cancer Network (NCCN) recommends that men with a BRCA gene mutation have breast self-exam training with their physician and that men perform breast self-exams monthly. In addition, men with a BRCA mutation should see their physician twice a year for a clinical breast exam. Your doctor may order a baseline mammogram and based on those findings, may also order a repeat mammogram once a year to screen for breast cancer. The NCCN also recommends that men with BRCA mutations follow prostate cancer early detection screening guidelines. If you have a family history of prostate cancer be sure and discuss this history with your physician. What are the risks to my family if I have A BRCA mutation? It is important that the women in your family know whether or not they carry a BRCA gene mutation as their medical care may change dramatically. If you have a BRCA gene mutation, other relatives in your extended family may also be at risk including grandparents, aunts, uncles, nieces, and nephews. about breast cancer and BRCA mutations?